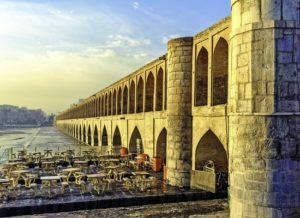 Travelling to Iran? The idea might not immediately come to mind to those of you planning a vacation. This country has many attractions that deserve to be visited, not to mention the religious monuments of Isfahan. You will also be dazzled to see the immensity of Persepolis and the riches of Shiraz. Need to relax? Iran is perfect for you! The Caspian coast is ideal for swimming and sunbathing. For thrill seekers, some sites are available to you for water skiing and climbing. On the architectural side, Iran has magnificent structures such as the Imam mosque, the Chehel Sotun Palace and the Imam Reza shrine. Take the opportunity to plan your trip and live an unparalleled experience. Despite the recent wars in Iran, it remains one of the most popular medical tourist designations in the Islamic world, with many state-of-the-art medical facilities and several thalassotherapy centers. Indeed, many travelers are drawn here by considerably cheaper medical prices than in Europe and the United States. Doctors are also well qualified and have been trained in Europe and America. In more remote areas, it is difficult to receive basic care of good quality because of inadequate infrastructure, drugs and medical personnel. Although you can request an ambulance through 115, be aware that the wait time is long and the equipment is fairly old. Both, a visa and a passport are required to enter Iran. Your passport must be valid for at least six months beyond the date of departure. Please note that this is the website for the Canadian Embassy in Turkey. There is no Canadian government office in Iran.